In many ways, the Shins’ albums have always had a seasonal quality to them. Their June 2001 debut, Oh, Inverted World, harkens back to that last summer of innocence before September 11th, when the world became a much more complicated place. There was always something sweetly autumnal about their 2003 follow-up Chutes Too Narrow, its ten songs gloriously chromatic but hinting at sadness, too. And after a four year absence, the chilly synths and spotless burnish on songs like “Sleeping Lessons” and “Red Rabbits” from Wincing the Night Away bore a kind of cold finality, the sound of a band’s remarkable tale winding to a close, perhaps for good. It seems fitting then that Port of Morrow, the Shins’ long hoped-for return, coincides with the arrival of spring. The reemergence of James Mercer’s quintet (now completely reconstituted with new members) has the markings of rebirth for a band built on fierce artistic independence and melodic warmth. 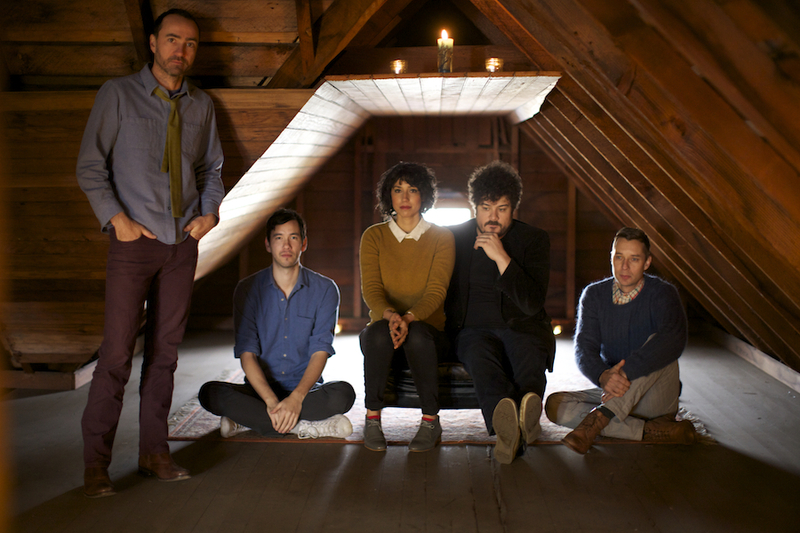 But at times, it sounds like the Shins woke up from a long hibernation to find they’ve overslept a bit. The quirky spark that drove their best work has dimmed, the album’s production favors style over substance, and while welcoming, Mercer’s songs don’t wow you the way they once did. Port of Morrow ends up as a satisfying, somewhat conventional effort from an indie stalwart whose best work was once defined by their fearless urge to be peculiar. Fans who found Mercer’s excursion into ghostly, skittering electronics of the recent Broken Bells records to be emotionally aloof will notice plenty of that polish has rubbed off on Port of Morrow; Mercer seeks to apply the same clean lines and production values he learned from Danger Mouse to the melodies and bittersweet pop charm of early Shins’ records. He ends up with somewhat of a mixed bag. “The Rifle’s Spiral” wraps layers of radio static, electric ambiance, and rubbery bass into a tightly wound construction of minor-key bounce. “Fall of ’82” offers a meticulous recreation of the organ and horn melodies on Abbey Road, reminding you how indebted to 60’s pop structures and instrumentation the Shins’ really are. Both tracks sound as polished as deep-sea pearls but end up reminding you how much of the Shins’ appeal lay in their rough edges. “A luscious mix of words and tricks” is the line from Oh, Inverted World’s “Caring is Creepy” that I think best described the Shins’ mysterious alchemy. Mercer’s obscure lyrics and vocal eccentricities have always kept listeners off guard, but they were offset by the inviting organic warmth of the songs. Listening to a good Shins record is like paying a 40-minute visit into the cozy living room of someone hiding at the bottom of an underground rabbit hole. It’s unkempt, totally enveloping, and strangely pleasant. By contrast, Port of Morrow sounds so clean and precise that you feel like you’re spending time in an art gallery; everything is beautiful but kept at arms length. There’s still plenty of works to enjoy here — songs like “No Way Down” and “40 Mark Strasse” have immediately gratifying hooks that rattle around in the space between your ears. The sweet spot between Mercer’s melodic gifts and Port of Morrow’s smooth studio gloss is probably its first single, the aptly titled “Simple Song,” whose chorus has the sort of chord progression you can spot a mile away yet are still somehow surprised by. When Mercer joyfully likens us to “an ocean made warm by the sun,” you can almost feel the glow. This is still the same songwriter who crafted “New Slang” which is probably the closest thing there is to “classic” indie rock — a song that possesses an immediate familiarity yet never grows old after hundreds of listens, remaining timelessly simple and gorgeously weird. To that end, there’s “September” — the sort of stripped-down, heartfelt song that wouldn’t sound out of place on Chutes to Narrow. It features Mercer cooing over an acoustic strum and an echoey lap steel like some lonesome cowboy balladeer filling a dust bowl with warmth beneath the vast starry sky. It immediately succeeds at delivering the listener into what Mercer calls “this strange elastic world” — as good as any description as I’ve ever heard of the Shins’ experience. Port of Morrow ends up something less than a classic but better than most of what you hear from the Shins’ peers of late. It’s approachable (more so than Mercer’s pseudo-solo effort Wincing the Night Away), but still lacks the raw energy and gawky pop recklessness of the Shins’ first two fantastic albums. There’s something quite calculated and tactful about James Mercer these days; he’s transformed from the hungry Sub Pop indie artist into the seasoned studio professional who has surrounded himself with capable session musicians in an effort to recreate the sound he invented and loves. Even his impossibly high, beautifully awkward falsetto has been tempered by a more commonplace lower register. That’s not intended as an indictment, but rather a reflection that everything and everyone changes with time. Just this past week on the east coast, an accelerated wave of late spring-like weather arrived in full force after an unseasonably mild winter. It’s warm for March, the clocks have been turned ahead, and the days already feel gloriously long. As a result, kitchen windows and flower petals are opening earlier than ever, sweaters are being discarded and pale faces are lifting to the sun. Everyone knew spring was coming, but this weirdly marvelous weather still feels like a surprise — in some ways, it’s become that way with the Shins. Even knowing what to expect, we can take pleasure in recognizing the beauty in this thing and enjoying it while it lasts. Buy Port of Morrow at Amazon. Thanks, Jeff. I like the embedded MP3 even more after reading the context you provide. And I LOVE your last paragraph. Love it. 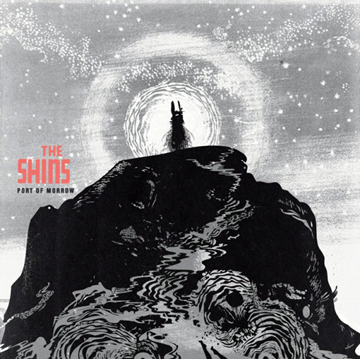 This entry was posted on March 19, 2012 by Jeff Goodwin in Reviews, The Shins and tagged 40 mark strasse, chutes too narrow, fall of '82, james mercer, oh inverted world, port of morrow, september, simple song, the rifle's spiral, the shins.